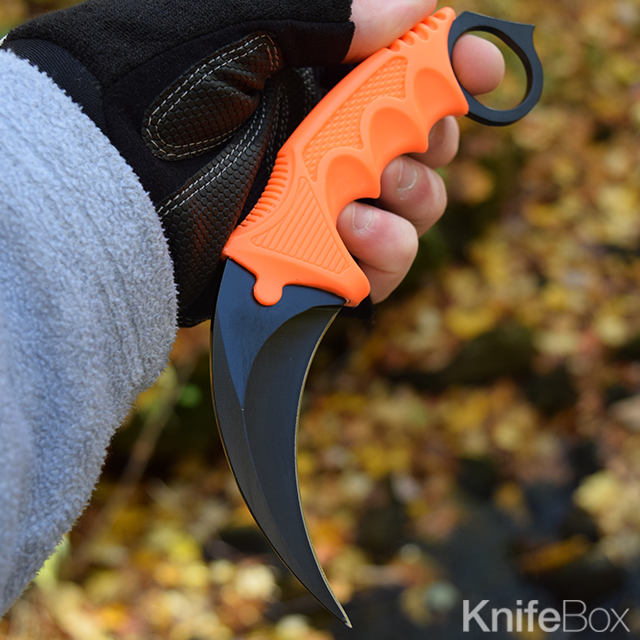 Gamers KnifeBox Flaming Orange on Black video game Inspired Karambit :: This video game replica 4"stainless steel fixed blade features a fierce curve with a sharp edge and piercing point. 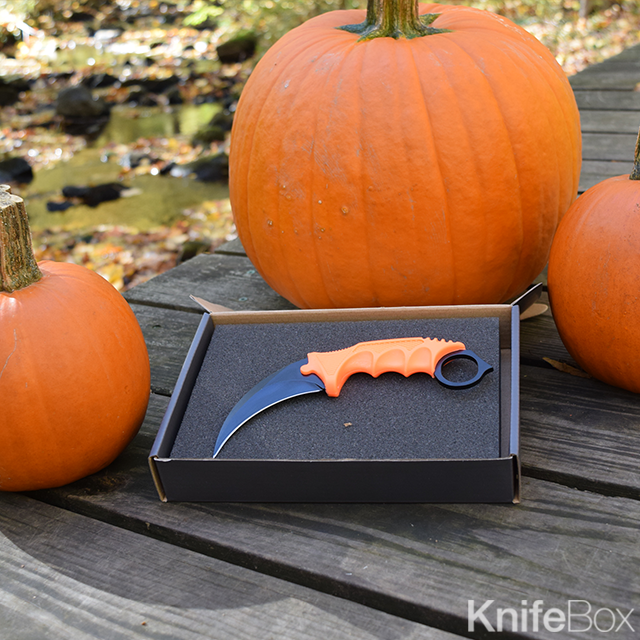 The ergonomically contoured handle features three finger notches and a slip-free grip for supreme control as you wield this fierce blade. The open-hole pommel also features a spiked end with crushing capability!